This entry was posted in Exhibitions and tagged Binh Danh, daguerreotype, exhibition, Haines Gallery, memory, past, present, San Francisco on November 15, 2014 by achang. “E-Waste” is an exhibition of new sculptures and videos. Combining machine-made, handmade, and organic forms, including a “fossilized” 3D printer, the installation offers a mediation onconsumer technology’s environmental impact, digital labor’s perverse acceleration, and big data’s corporeality. “E-Waste” is co-produced by the College of Arts & Sciences and the College of Fine Arts in collaboration with CELT (Center for the Enhancement of Learning & Teaching) at the University of Kentucky, and is supported in part by a PSC-CUNY Award, jointly funded by The Professional Staff Congress and The City University of New York. 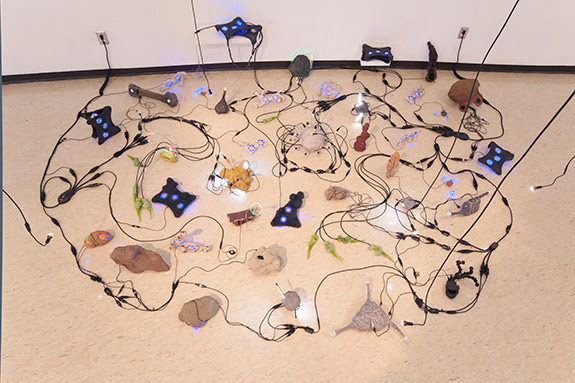 This entry was posted in Exhibitions and tagged Dima Strakovsky, E-Waste, exhibition, Katherine Behar, Kentucky, Tuska Center for Contemporary Art, University of Kentucky on November 7, 2014 by achang. Archival pigment print, 30 x 30 inches. Smith Andersen North is pleased to present Benjamen Chinn’s Paris, 1950-51. Born and raised in San Francisco’s Chinatown, Benjamen Chinn (1921-2009) found inspiration in the everyday, often photographing from his front door stoop the shopkeepers, schoolchildren and passersby that populate his compositions. Like his fellow graduates from the California School of Fine Arts in the 1940s and 50s, a period at the school known as The Golden Decade, Chinn honed his sensibility with the best instructors of the day, including Minor White, Imogen Cunningham, Dorothea Lange and Edward Weston. After graduation, he headed to Paris and produced a lively and poignant body of work – a testament to his unique gift for finding the idiosyncrasies in everyday urban street life, and an enduring record of post-war Paris. We hope you will join us at Smith Andersen North for the opening reception on Saturday, October 1, 2011 from 6-9pm. Benjamen Chinn’s Paris, 1950-51 will be on view from October 1 through October 31, 2011. Gelatin silver print, 8 x 10 inches. From Highway 101 take the Central San Rafael Exit. Go West on Third Street. Third Street turns into Fourth Street and then Red Hill Avenue. Make a U-Turn at the Hub by Sir Francis Drake Boulevard and immediately veer right onto GREENFIELD AVENUE. 20 GREENFIELD is the first building on the right. Off street parking in the lot along the east side of the building. This entry was posted in Exhibitions and tagged Benjamen Chinn, exhibition on September 26, 2011 by achang. Cuchifritos Gallery, 120 Essex Street, Essex Street Market, New York, NY 10002 (South End of the Market, nearest Delancey Street). Jaishri Abichandani <http://jaishriabichandani.net/> , Nida Abidi <http://kaabakaze.blogspot.com/> , Fariba Alam <http://faribaalam.com/> , Vaidehi Kinkhabwala <http://vaidehikinkhabwala.com/> , Priya Nadkarni <http://www.priyanadkarni.com/bio.html> , Sadia Salim, Amruta Shah <http://www.amrutashah.com/> , Tuba Zaki, Hayat Gul <http://hayatgul.com/> and Vandana Jain <http://vandanajain.com/> . The South Asian Women’s Creative Collective (SAWCC) in collaboration with Cuchifritos <http://www.aai-nyc.org/cuchifritos/> Gallery New York are pleased to present SAWCC’s Annual Visual Arts Exhibition Open/Close curated by Maymanah Farhat <http://maymanahfarhat.com/> . As Open/Close will be on display in Cuchifritos, a nonprofit art space that is located in the Essex Street Market, this forthcoming exhibition seeks to engage, highlight and explore the complex undercurrents that define the social terrain of a popular New York City shopping district. With a layout that is reminiscent of an old world bazaar, the Essex Street Market ismeant to create a small commercial hub for a diverse community of longtime residents, immigrants, and recent urban transplants. Organized with a strict set of guidelines that outlines the need for each vendor to present an aesthetically pleasing display, the Essex Street Market is in many ways like a gallery, or even an art fair, in which curators are expected to arrange their designated spaces as they vie for the interest of viewers. Essentially, the act of curating is visible throughout the market, as the fostering of visual culture results from meticulous displays of products. At the center of the show’s curatorial premise are the connections that can be made between the selected works and the daily happenings of the market. A special emphasis has been placed on the layout, objects and overall experience of such an environment—from the visuals of household supplies that are displayed in an orderly fashion to the iconography of religious imagery that adorn a Catholic gift shop, and everything in between. Issues of identity, gender, class, race, globalization andconsumerism are crucial to the exhibition and are addressed through the many creative, theoretical and sociopolitical investigations of its artists. By encountering, examining and considering Open/Close, viewers are encouraged to establish links between the exhibited works and their surroundings so that they might reexamine how art and visual culture often overlap. This event is made possible with public funds from the Manhattan Community Arts Fund, supported by the New York City Department of Cultural Affairs and administered by the Lower Manhattan Cultural Council. 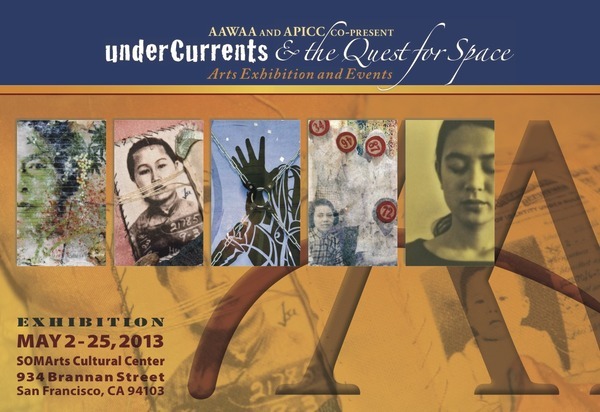 This entry was posted in Exhibitions and tagged Cuchifritos Gallery, exhibition, SAWCC on September 23, 2011 by achang. This entry was posted in Exhibitions and tagged exhibition, lower east side printshop, Mary Ting, North Carolina, NYC on September 23, 2011 by achang.